We all want to be the “cool kid” and have the latest and greatest technology. 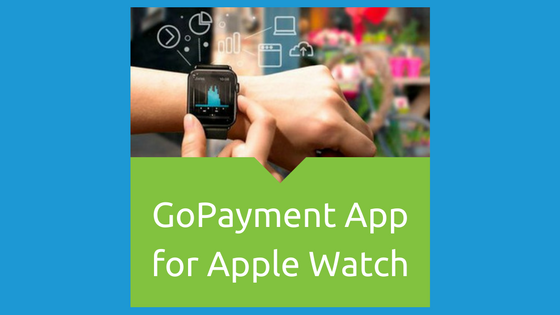 So why wouldn’t we all be excited about Intuit’s new GoPayment App for Apple Watch. Look for the new green app icon on your iPhone or iPad! When you tap the GoPayment icon, the Take Payment screen lets you get paid right away. So create an order and one tap takes you to the Payment Options screen. 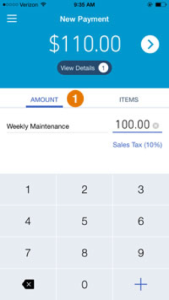 You can either enter an  amount or quickly add  items from your inventory to create the order. Either way, tap the right arrow to select a payment option (credit card, cash, or check). Need to change an order – No Problem! You can easily change order details on the fly. 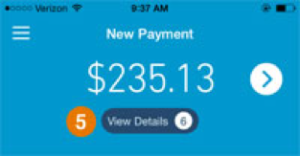 From the New Payment screen, tap  View Details under the total amount. Turn off tax for individual items. Managing items is easier, whether you’re adding or editing an item or making changes to multiple items at once. You can now enter over 1,000 items, compared to the previous limit of 99. Create longer item names and descriptions. 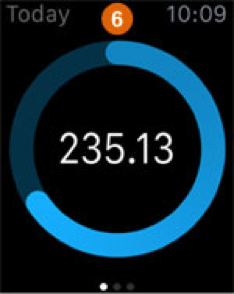 GoPayment works with the Apple Watch to help you track sales and customers with a glance. Set a daily sales goal for your company and quickly compare how you’re doing right now. 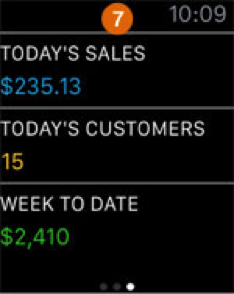 In  this example, your daily sales goal is $400.00. 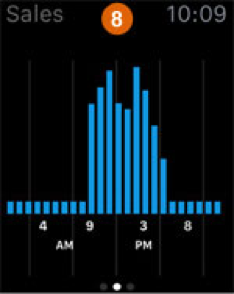 You can even see  what times of the day you make the most sales. GoPayment automatically detects whether you’re using the grey or the latest green card reader. If this is the first time you’re using the card reader, GoPayment automatically detects your device’s profile and helps you set it up. 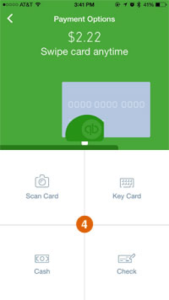 If for some reason the reader can’t swipe a card correctly, you can enter the card info manually or take a picture with your device’s camera to scan the card info automatically. 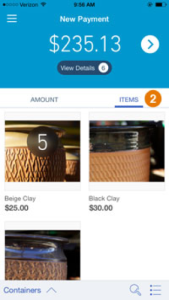 GoPayment is a great way to accept payments anywhere you do business. And historical data shows that small business owners who use QuickBooks Online with GoPayment get paid on average twice as fast as those who don’t. 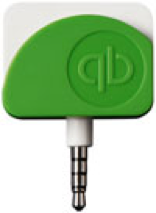 To simplify your bookkeeping tasks, you can import GoPayment transactions directly into QuickBooks Online. 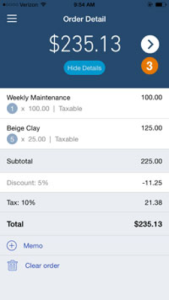 Learn more about features and fees on our QuickBooks Payments page and download the GoPayment app for iPhone, iPad, and Apple Watch!